I touched a little on Polka Dots in my "Favorite Trends" post. I.Love.Polka.Dots! To be honest, I'm not even sure why really. I know part of it is that it's easy to mix patterns with polka dots. Other than that, maybe it's because I feel like it's somewhat whimsy yet sophisticated. I recently splurged & purchased this Mega Dot print blouse from the Loft. I did get it at 40% off, but even at that, it was still a splurge for me. But, hey, that's what Christmas Gift Cards are for, right? Anyway, no regrets with my purchase at all! 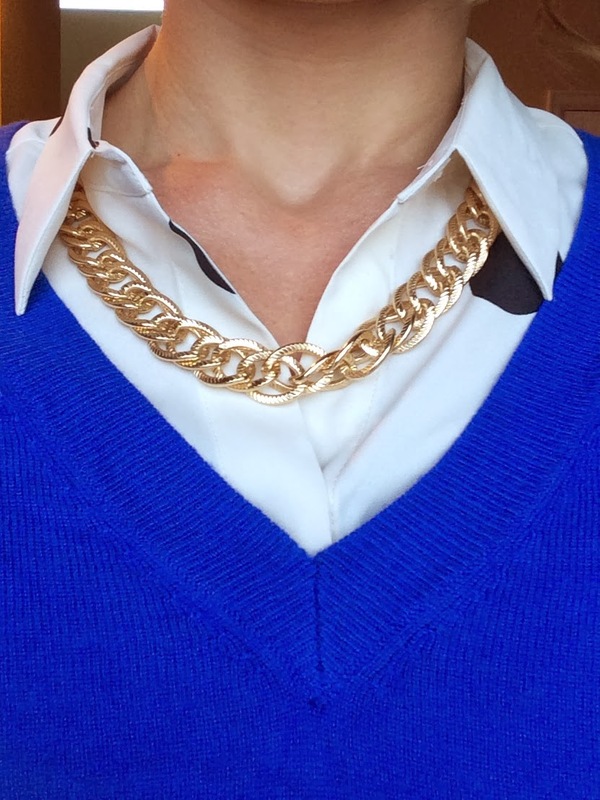 I wore it to the office recently & paired it with a raspberry skirt (also from the Loft, but on the clearance rack - sorry, I can't find it on their site anymore). I wore my black platform booties & a rhinestone statement necklace. Then last week I wore it to meet friends for lunch, so I used it in a more casual outfit. I wore jeans, layered it underneath a blue sweater, & wore black wedges. Of course, adding jewelry for the final touches. 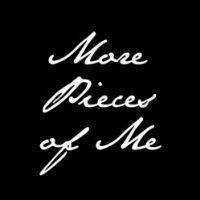 It's important for me to be able to use all of my pieces in multiple ways. Not to mention, that it is also one of the core concepts for this blog - providing examples for versatility. So, in true fashion I've created example boards of more ways you can wear polka dots just to get you thinking! 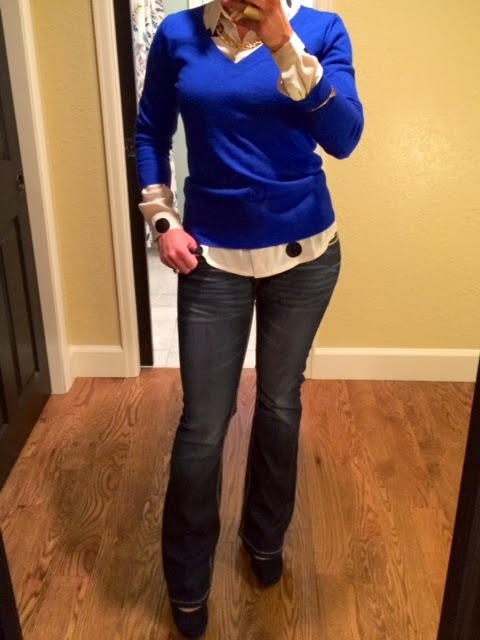 Just like my example pictures, you can wear sweaters over the top of a blouse like this. You can even wear a pattern...just be sure the scale of the pattern on the sweater is different (smaller or larger) from the dots on your blouse. You can even do a sweater with polka dots itself - in this case, they should be small polka dots on the sweater. Again, try mixing a patterned skirt with your polka dot top. You can even add a belt as well. If you are wearing a belt, I would either leave the blouse un-tucked & wear the belt at your natural waist, or tuck the blouse in & wear the belt on the waist band of the skirt. Always keep in mind your scale from the two patterns you are mixing....one should be a smaller print & the other larger. You can also try this with any patterned pants you may have. Of course, an easy way to add more pop to your polka dot top would be to add a scarf. Again, try mixing patterns...I think you'll find you love it. If you're not comfortable mixing patterns, that's OK, try adding a solid color scarf or colored skinny jean instead. You can also see in this example how you can mix the 2 polka dot items together like I mentioned above. Don't forget to add your jewelry for the icing on the cake! So, what do you think...are you going to get on the polka dot train like me? If you'd like to see other options of polka dot tops, be sure to check out this post. Of course, there are polka dots everywhere right now (tops, bottoms, outerwear, & accessories), so play around with what interests you. As always, comment below or contact me if you have questions! I love the idea of wearing this shirt with a plain pencil skirt! Very cool and versatile top. 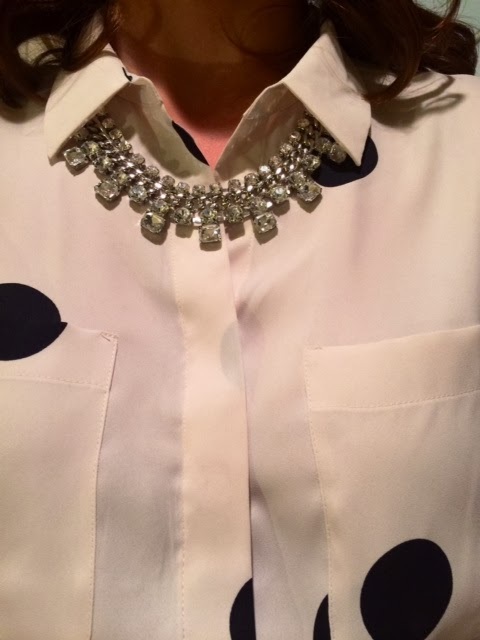 So, I love Express' portofino shirts, and the polka dot version is the one I wear the most. It just pairs well with everything, as you have also proven! Great inspiration! super cute! 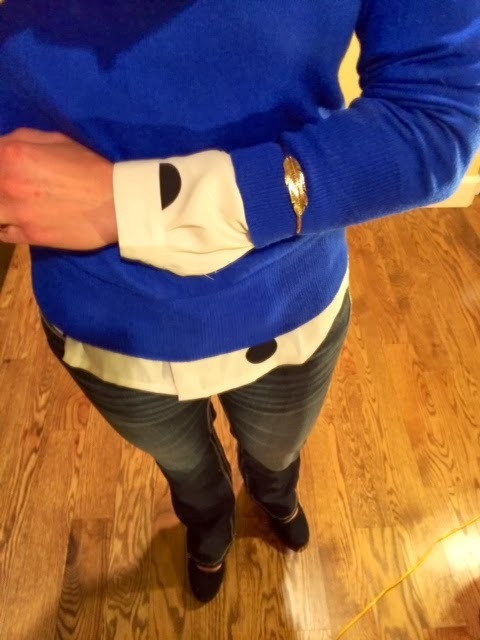 I LOVE the outfit with the blue sweater over the polka-dot blouse. OB-SESSED with that polka dot top!!!! You look fab! I love that necklace, great choices to complement the polka dots. Love the polka dots! I am such a polka person, I was thinking about putting a polka dot rug in our living room. :) And the TopShop plaid skirt from Nordstrom - LOVE. 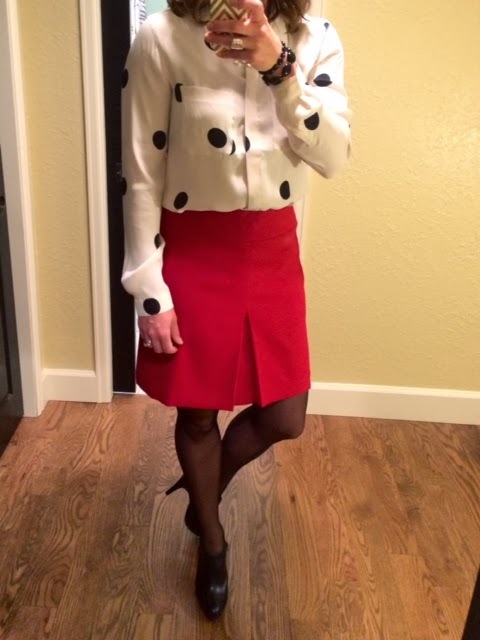 I love polka dots too! Thanks for linking up! That blue looks amazing! I love that look with the dots! 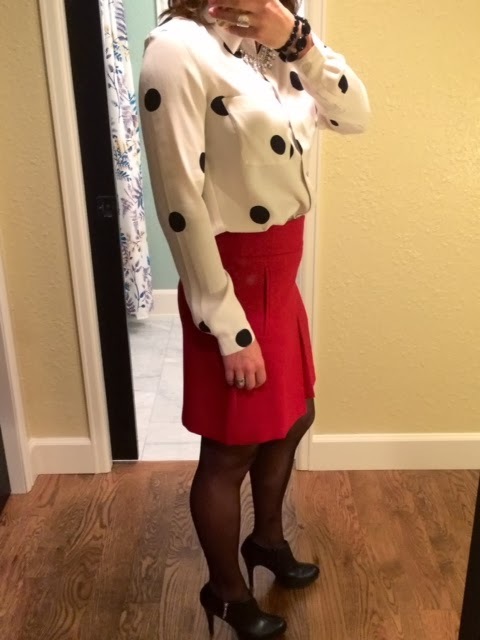 I just love that take on the polka dot blouse! I feel a splurge of my own coming on. Ha! Thanks for sharing a ton of ideas on how to style it. The mega dot shirt is so cute!! Love how you styled it! 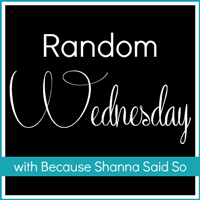 Thanks for linking up with us for Pin-Spired!